When you think of a perfect destination for a romantic getaway, a winery probably comes to mind. It might be because there’s so many elements to a winery getaway — from the atmosphere, to the privacy, to the intimate tasting room, to the outdoor seating with a fireplace, to the scenery. And, you can’t forget the wine! Whatever it is, you’ll be happy to know many wineries offer you more than just dozens of wines to try. They also offer a relaxing destination to spend the night. You’re going to drink more wine than you originally expected to — all those little “tastes” add up. So forget the designator driver to and from your hotel, and instead stay the night at the winery. Is your significant other not a huge fan of wine? No problem. There are wineries that also serve beer. What an easy compromise — you’re able to enjoy your wine, and your significant other is able to enjoy a nice, cold beer. Some wineries also have sorbet, oil, and vinegar. 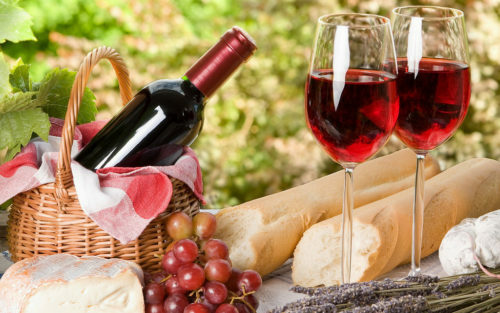 A winery destination can really prove to be a great destination for everyone! No one wants to feel rushed, especially while you’re wine tasting and trying to enjoy the experience. A smaller winery gives you the opportunity to spend quality time with the workers and learn their knowledge about the wines and winemaking process. A smaller winery also offers privacy. There’s enough room at the venue to not be bothered, both outside and inside, and you always have the option to escape to your room. 5. What Kind of Wine Do You Like? Maybe you don’t have an answer to this question, and that’s OK too! But don’t be afraid to answer with something like, “I enjoy many kinds of wines. What kind do you suggest?” Don’t forget, those working in the tasting room have unlimited knowledge about the wines they’re serving. They’ll be more than happy to help steer you in the right direction. If you stick to what you currently know and love you can miss out on new favorites. Grapes are often grown near the winery. If you stick what you already know, you could be missing out on a regional speciality/new favorite you’ll never be able to try otherwise. Did you love the wine you tried? Did you love more than one bottle? Wineries often run sales, especially smaller wineries. For example, buy three get $3 off or a case discount. 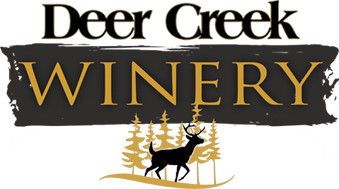 Remember to sign up for the winery newsletter while you’re there as well. You’ll be the first to know of future specials and events. Plus, smaller wineries have a limited distribution and can be more difficult to find at retail wine shops, meaning you can only buy these wines at the winery or on the winery’s website. Your winery getaway weekend can be completely personalized to yours and your significant other’s tastes, and you never have to leave the winery (if you don’t want to)! Stay the night at the winery and enjoy everything it has to offer. A winery getaway is the perfect opportunity to spend your weekend somewhere where romance can be uncorked.